- The bus will pick you at about 7:45 - 8:15 depending on your hotel location. You should wait at reception in time so we won't miss you. Da Nang Green Travel - Have a wonderful trip ! We had a great time. We did not expact that there was so much to see and to do. Also the tourguide knew a lot of in’s and out’s. We totally recommand this tour! Thanks for a wonderful day! I took an amazing tour to the famous Ba Na Hills. It was very, very cheap for what it offers and the staff of Danang Green Travel are really friendly and professional. There were no delays, everything was perfect. We loved our tour! The guide in our shuttle bus was fantastic! We've tried to find a shuttle service from Danag to Ba Na Hills and luckily, we found Dang Green. I sent them a message via WhatsAp at 9 pm. and they reply me in 1 min.! Everything was great. The driver came to pick us up at 8.10 am. at the hotel, went around to pick the others and stopped to buy Ba Na Hills tickets for us then we didn't need to line up in queue. The ticket cost 70,000 VND/person. the driver dropped us and informed us the meeting point and time to go back to Danang (3.30 pm. The lady Dung who works for this company is AMAZING! She is funny, knows a lot about the place and very helpful and careful about our group! Her English is very good too! I recommand her 100% is you want a tour at Ba Na Hill, ask for Chi Dung! Good Organisation and very friendly guide! Would do again! It's a good deal. The guide did a good job. The driver was ok but I don't get used to hearing beep beep so often. Overall is good. We bought the cable car and shuttle bus combo. The bus is clean and on time. Highly recommend the shuttle service. Throughly enjoyed the tour.Had Fantastic time with tour operator. She was knowledgeable & didn’t hurry the group. always had a smile. Would definitely recommend friends / family. Once again a big thank you had a wonderful day. Thanks for today, both pick up were on time and perfectly professionnal ☺️ i'll talk about you for sure !! Wish you a great business then ! Excellence services and tour guide! Very nice tour, the tour guide so helpfull, Recommended to use this tour. Amazing bus in VietNam. Morden, clear, tour guide very friendly, always smile❤️... love Green company. 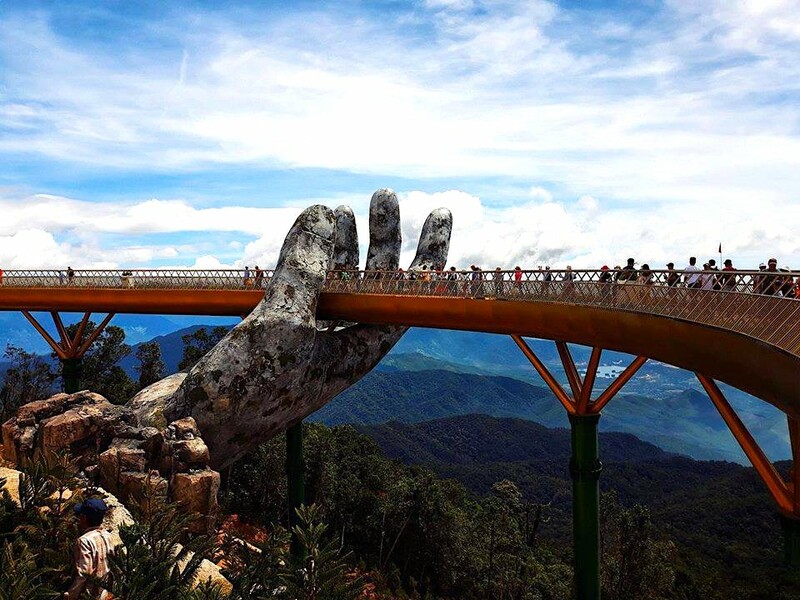 My family accidentally booked the company's Da Nang - Ba Na tour on Christmas Eve, and we were very pleased with how to serve the company's customers, very professional, thoughtful, happy guides It looks like a lot of knowledge and care is very attentive, I hope the company will try to maintain that, my family will continue to use the company's tour. A new year of blessing for a year will be filled with love, great love and trust from customers when using the company's tour. Everything was verythe hill was very crowded and not too enjoying, others were fine. Found this company online with reference to attending Ba Na Hills. The communication with company we very easy and translated to English well. The price was extremely good and they offered hotel pick up. The bus was very comfortable and clean. The host was lovely and spoke to us in English giving us a tour of Da Nang along the way. We even received a free water upon arrival. Would definitely recommend this company!!! HDV nhiệt tình, thân thiện.